One For All® is the consumer brand of Universal Electronics Inc., is an innovative world leader in sense and control technology for the smart home. UEI’s vision is beyond the connected home, a smarter home where technology is our friend. To learn more about One For All please click here for our Introduction video. 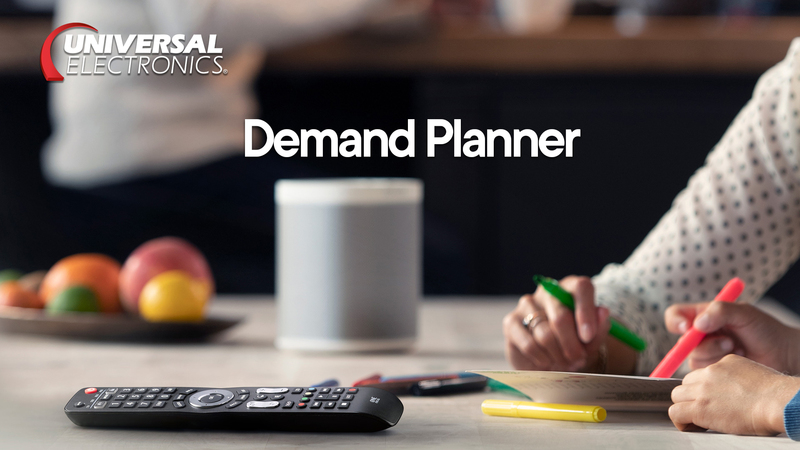 UEI’s embedded software, hardware and cloud services provide intelligence to seamlessly control and interact with an expanding list of home entertainment and smart home electronics. We design & developed an extraordinary number of products for the connected home, backed by a complete ecosystem of data driven software solutions & cloud services for connected devices from leading brands in mobile, gaming and consumer electronics segments. Our team of over 3000 colleagues operates from locations all over the globe. Our headquarters is located in the USA and we have business and software development centers in the Netherlands, China, India, Hong Kong. Our manufacturing plants are located in China, Brazil and Mexico. The Sales Manager (SM) is responsible for the One For All portfolio in the technical superstores channel, DIY, ETAIL and B2B, achieving budgeted Net sales through effectively managing volume, discounts and returns. As Team Leader customer order desk you have your own customers as well as supervise colleague order desk reps and be their first point of contact in case of questions. You will report to the manager Customer order desk. As Manager Quality Assurance (MQA) you will head up the EMEA Quality Team (4p) and lead them in the next era where we expand our activities into the Smart Home domain – Create Smarter Living. In our team located in Enschede we have a career opportunity available for a Program Manager. After a project is won, the program manager takes the lead and translates the customer requirements / expectations into a project plan that is used to develop and realize the products. The Quality Engineer (QE) is responsible for securing the quality of our products during the product development phase and manufacturing process. The QE ensures that product, process and project related quality risks are quantified upfront and traced. The Smart Home / IOT Sales Director is responsible for developing new business channels for Universals Smart Home solutions as well as working with Sales Directors for opportunities with current customers across the EMEA / India / SE Asia and Oceania regions. As a member of a multi-disciplinary team you will be involved in every aspect of next generation data-driven products. This would require deep understanding of UEI’s core technologies as well as technology trends in embedded systems, and consumer electronics. This role will be involved in the complete product lifecycle with focus on customer specific releases of our embedded and data driven software solutions. In our office in Enschede, The Netherlands we offer on a regular base internships / student assignments / part-time projects to bachelor and master students in business and/or engineering, computer science.